Christmas is a great time for book lovers, especially lovers of non-fiction. The book store shelves are bristling with a lot of interesting new histories and biographies. I just bought Doris Kearns Goodwin’s newest history, The Bully Pulpit: Theodore Roosevelt, William Howard Taft, and the Golden Age of Journalism . It’s about how Teddy Roosevelt and William Howard Taft worked together as Republican progressives, and the split after Taft followed Roosevelt as president. It’s also about the way that Roosevelt made a special effort to cultivate newspaper and magazine reporters of the time in order to get them to get across his messages to the American public. It’s also about how Taft didn’t do that and paid for it. The parallels between the turn of the 20th Century and now are amazingly close, things like a wide and widening income gap between the rich and poor and a split within the Republican party. I’ve just started reading it, and it’ll be a while before I finish because I am a slow reader of histories and biographies. I read novels like Sycamore Row by John Grishom fairly fast. It, by the way, is a good read, in my view, though, not up to some of his preceding novels. 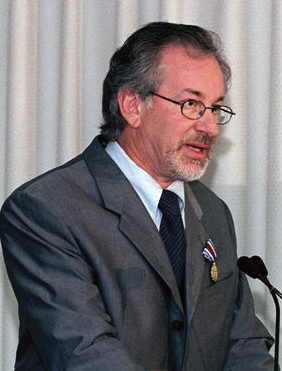 We are fortunate indeed to have someone like Steven Spielberg who will use his extraordinary talent and Hollywood clout to produce truly important movies, evergreens like Saving Private Ryan, Schindler’s List, and, now, Lincoln. 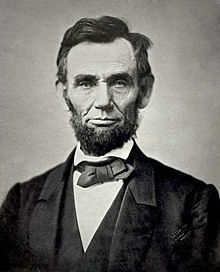 Lincoln is basically about our 16th president’s challenges in getting Congress to approve the 13th Amendment to the Constitution, the one that ended slavery in the United States. It is based on Doris Kearns Goodwin’s Pulitzer Prize-winning biography Team of Rivals. It’s not often that an audience will applaud a movie. After all, the actors and others responsible for the film can’t hear the applause. It happened when Lincoln ended at the showing I attended. I could understand why. It was that good. I was quite moved by it, and I won’t be surprised if Daniel Day-Lewis gets an Oscar nomination for his performance as the American president who is usually rated by most historians as the second most important United States president. George Washington usually gets the nod for number one and Franklin D. Roosevelt for number three. It is hard to watch the movie and not reflect that only 147 years ago our country allowed the slavery of African-Americans, and now we have just reelected an African-American President. I definitely recommend both Lincoln and Team of Rivals.